OCTOBER 8--New York Police Department intelligence units have monitored street gangs, anarchists, and mob families. The NYPD's so-called Red Squad even monitored suspected Commies and leftist groups. And rap stars have also gotten the special intel treatment, with the production of a voluminous dossier on performers and their bodyguards and posse members. 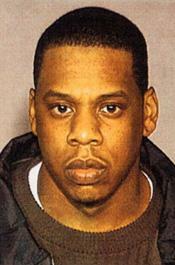 The 500-page NYPD report contains rap sheets, mug shots, and incident reports on many of hip-hop's biggest stars. Some profiles were prepared by the federal High Intensity Drug Trafficking Areas (HIDTA) program. On the following pages you'll find excerpts of the confidential NYPD dossier. We've included investigative documents on Jay-Z (Shawn Carter); Ja Rule (Jeffrey Atkins); 50 Cent (Curtis Jackson); P Diddy (Sean Combs); Nas (Nasir Jones); DMX (Earl Simmons); Busta Rhymes (Trevor Smith); Flavor Flav (William Drayton); Fabolous (John Jackson); Capone (Kiam Holley); Noreaga (Victor Santiago); Cam'ron (Cameron Giles); record executive Irv Gotti (Irving Lorenzo); and Roc-A-Fella Records boss Damon Dash. Apologies on the reproduction of some mug shots--our copy of the police dossier is sketchy in places. Our favorite documents are the NYPD reports recounting instances when the rappers themselves called the cops to report crimes.